Horse Adoption Application - L.E.A.N. 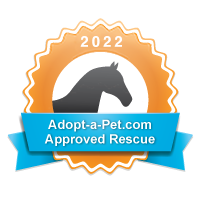 Thank you for your interest in adopting a LEAN Horse! All our horses are kept in private foster, so arrangements must be made to meet a LEAN horse. We require an adoption application be completed first to review and discuss with you before setting an appointment with a foster home. We carefully screen prospective new homes to ensure the horse and future owner/rider are suitable for each other. This is done in the best interest of the horse. Please complete the application below to start the process! NOTE: First time horse owners MUST have a trainer involved in the adoption process. Please enter information about your trainer below. Submission of this application grants permission to All Vegas Horses to contact your veterinarian, farrier, and personal reference in regards to this horse adoption. I hereby certify that I have no prior violations or convictions of inhumane treatment or abandonment of animals.